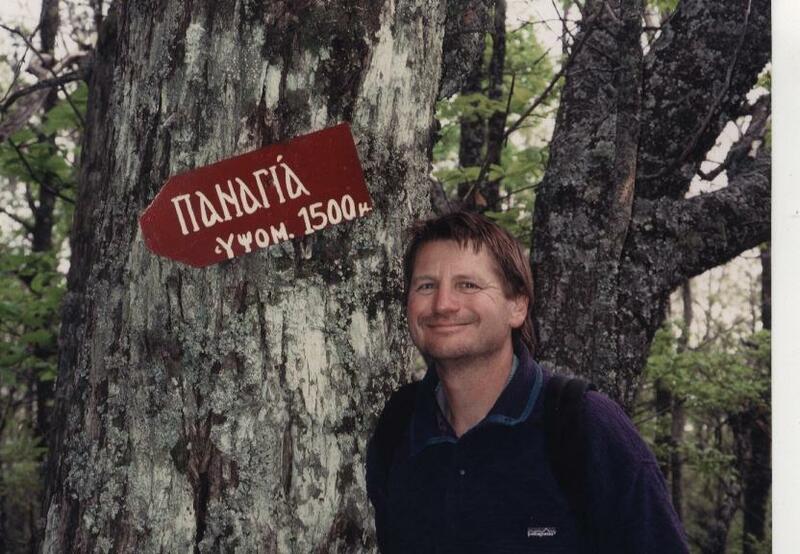 After authoring thirty books about hiking, I was compelled by extraordinary events to live through—then write about—an odyssey that took me to a remote monastery on Mt. 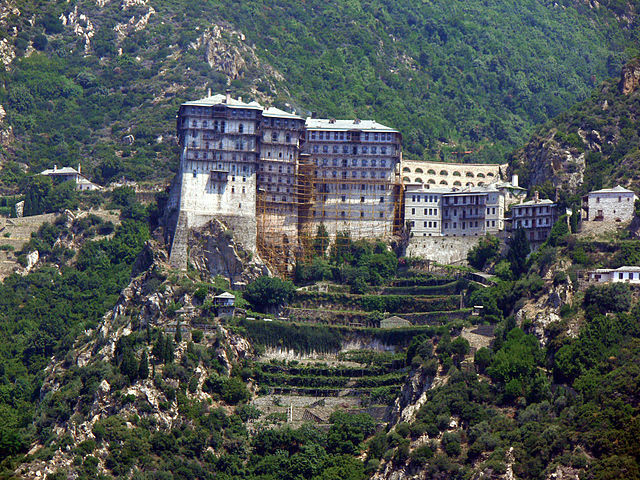 Athos, Greece. 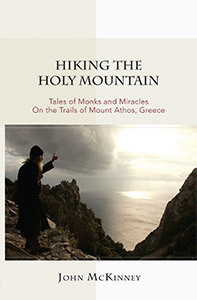 My new book, “Hiking the Holy Mountain: Tales of Monks and Miracles on the Trails of Mount Athos, Greece,” tells the story of two treks around Mt. Athos, encounters with a colorful cast of Greek monks, and a series of miraculous events that took place on—and off—the Holy Mountain. 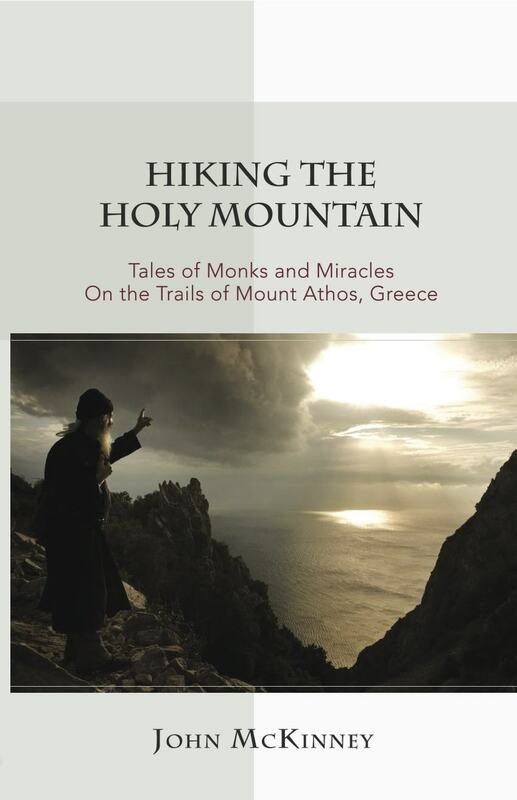 By turns glorious and hilarious, reverent and irreverent, “Hiking the Holy Mountain” narrates my progress and setbacks on the trail and within myself. 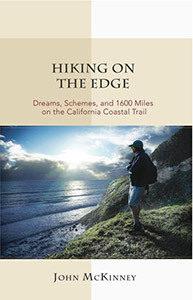 My friend Spiro Deligiannis joined me on the journey and we were truly the hiking odd couple. 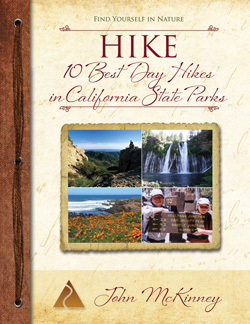 Spiro was a tenderfoot, and I was an expert hiker. Spiro was a devout Greek Orthodox Christian and fluent in Greek, whereas my faith was shaky and my Greek was terrible. Spiro believed in the wonder-working powers of the saints and icons, while I was a skeptic who doubted all miracles. As the Los Angeles Times hiking columnist, I had a professional purpose for my trip: to hike around the Holy Mountain and write newspaper and magazine stories about Mt. Athos, where no woman has set foot for a thousand years. 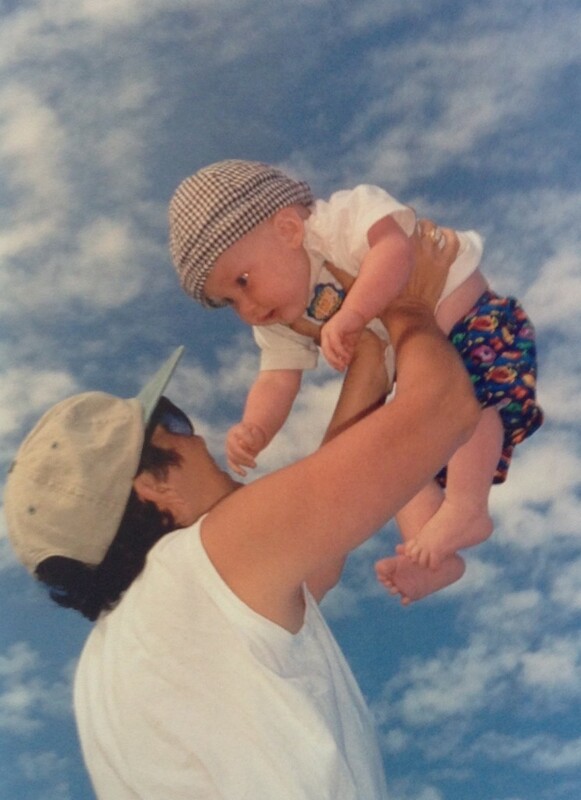 What I encountered there was an epiphany that changed my life and a miracle that led to the adoption of my son. 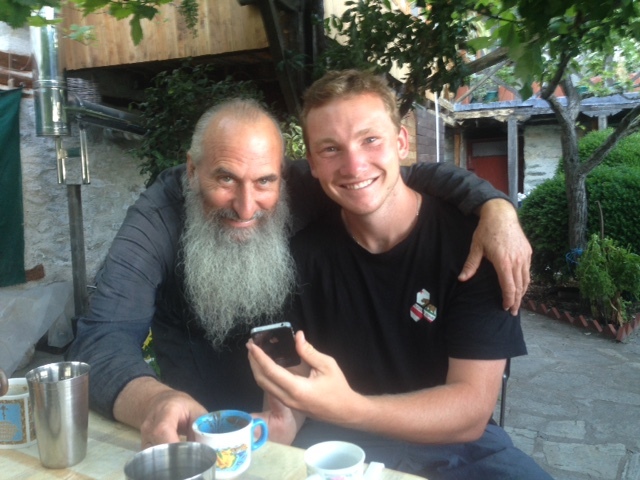 Twenty years after the first trip to the Holy Mountain, I made a second trip to Mount Athos with my son Daniel, who just graduated from high school. 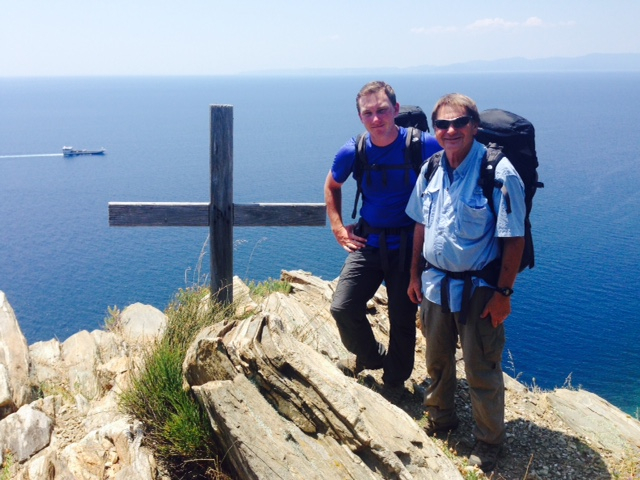 We traveled with Spiro Deligiannis (my trail buddy from the previous pilgrimage) and his godson Zachary Deligiannis. The story of “Hiking the Holy Mountain” began in 1994 when author John McKinney first hiked around Mount Athos. 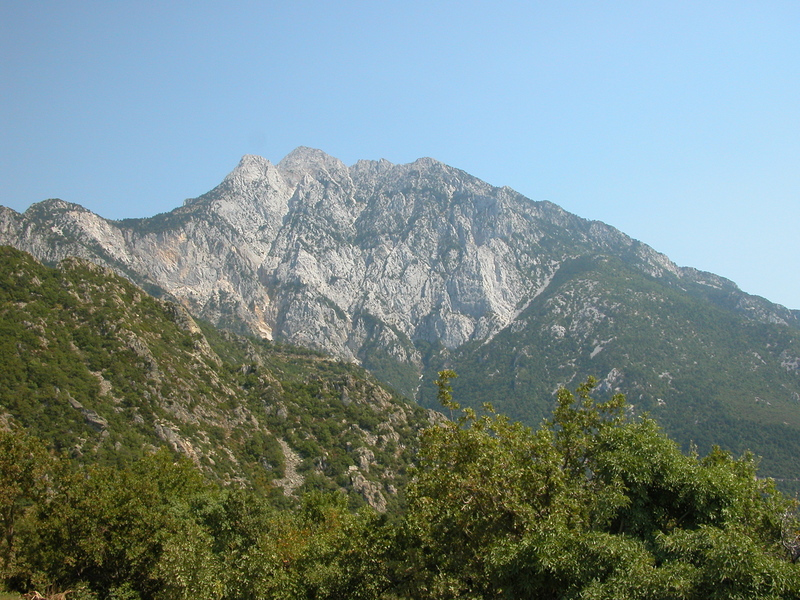 Simons Petras is literally built on a rock, quite the impressive sight for the approaching hiker. 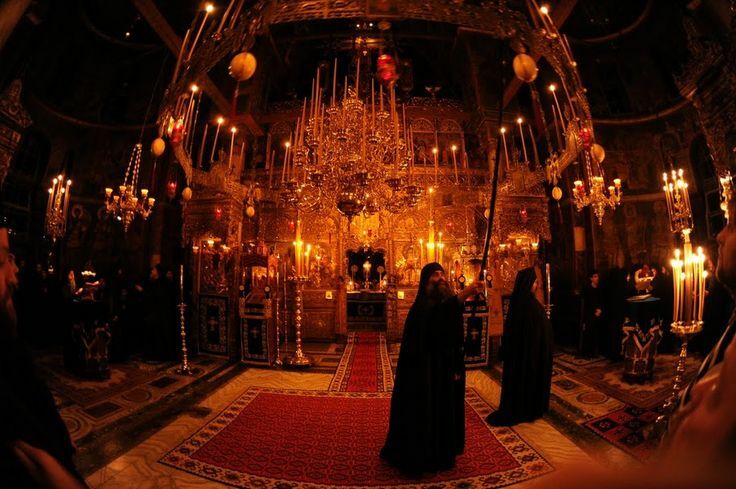 Natural light and candle light illuminate the extraordinary churches on Mount Athos. I’ve walked and written about more than ten thousand miles of trail, and I can attest that hiking up the Holy Mountain is surely the most spirit-stirring hike I’ve ever taken. Atop Mt. Athos at last. 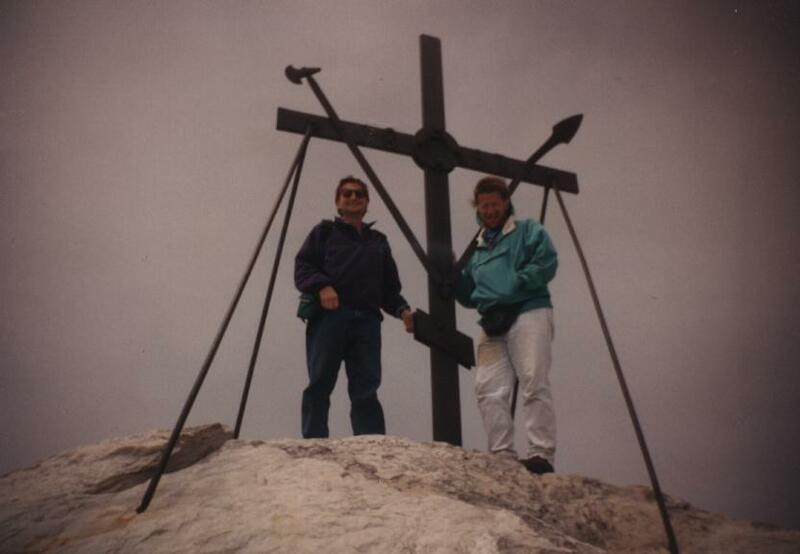 Twenty years ago, Spiro and I hiked to the summit in a virtual white-out. 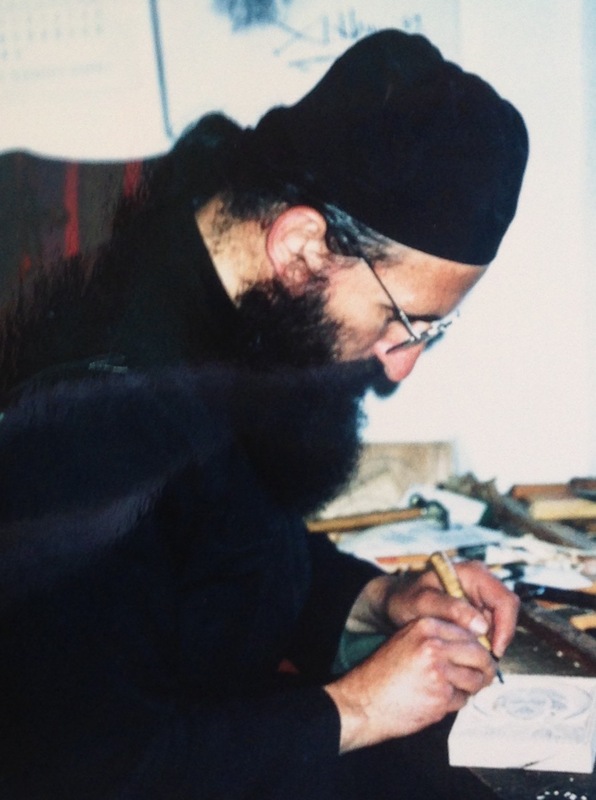 On my first hike of the Holy Mountain in 1994 I met Father Daniel, who makes icons of wood, and who would forever change my life. Daniel appears heaven-sent in this photo. Indeed he was. I feel so blessed for the opportunity to hike the Holy Mountain with my son Daniel, 18, who just graduated from high school. 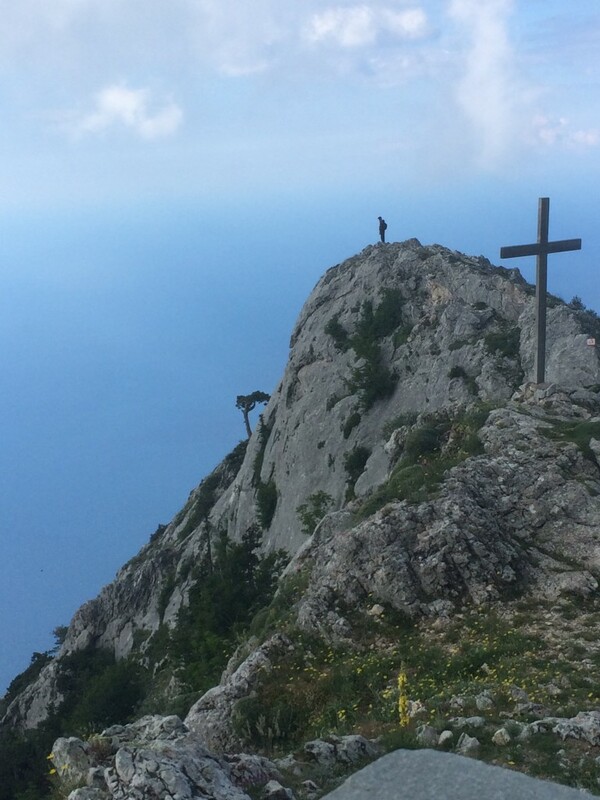 This promontory by Panaghia Chapel offers hikers glorious views of the Mt Athos coastline. 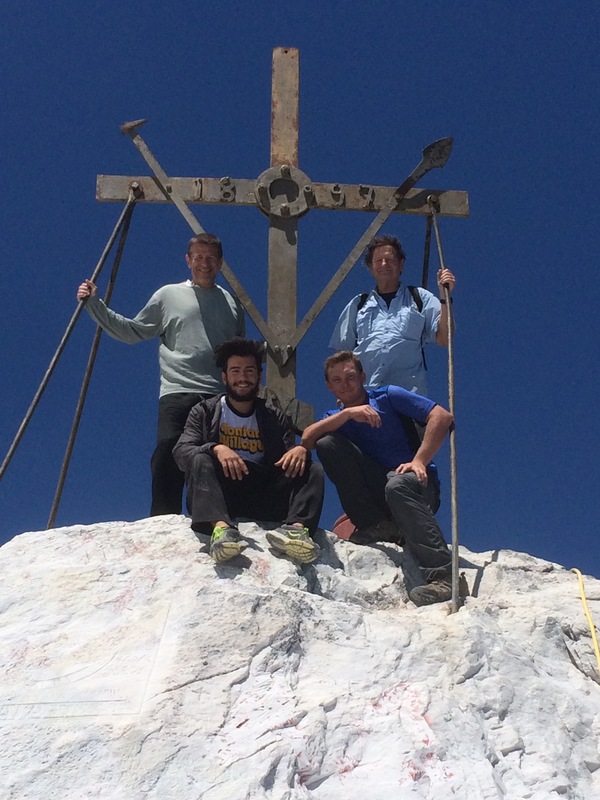 Atop the Holy Mountain (L-R top) Spiro Deligiannis and John McKinney; Zach Deligiannis and Daniel McKinney. Father Daniel graciously welcomed Daniel (L, holding the icon of the Prophet Daniel that Father Daniel made for him) along with John, Zachary and Spiro.